Below is an interesting article analysing the Saudi ruling family’s baleful influence on recent developments in the Middle East, in particular its relationship to Isis. The article appeared in The Independent, whose coverage of the Middle East is by far and away the best of any British daily paper. It has both Patrick Cockburn and the legendary Robert Fisk. The Guardian which used to have David Hirst and Michael Adams, as Middle East contributors, has become increasingly susceptible to Zionist media pressure. 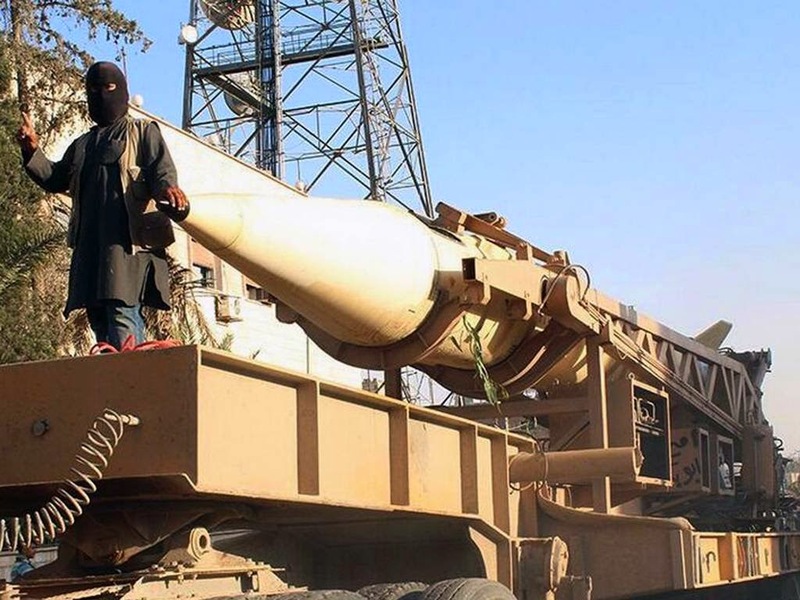 Fighters from the Isis group during a parade with a missile in Raqqa, Syria. How far is Saudi Arabia complicit in the Isis takeover of much of northern Iraq, and is it stoking an escalating Sunni-Shia conflict across the Islamic world? Some time before 9/11, Prince Bandar bin Sultan, once the powerful Saudi ambassador in Washington and head of Saudi intelligence until a few months ago, had a revealing and ominous conversation with the head of the British Secret Intelligence Service, MI6, Sir Richard Dearlove. Prince Bandar told him: "The time is not far off in the Middle East, Richard, when it will be literally 'God help the Shia'. More than a billion Sunnis have simply had enough of them." The fatal moment predicted by Prince Bandar may now have come for many Shia, with Saudi Arabia playing an important role in bringing it about by supporting the anti-Shia jihad in Iraq and Syria. Since the capture of Mosul by the Islamic State of Iraq and the Levant (Isis) on 10 June, Shia women and children have been killed in villages south of Kirkuk, and Shia air force cadets machine-gunned and buried in mass graves near Tikrit. In Mosul, Shia shrines and mosques have been blown up, and in the nearby Shia Turkoman city of Tal Afar 4,000 houses have been taken over by Isis fighters as "spoils of war". Simply to be identified as Shia or a related sect, such as the Alawites, in Sunni rebel-held parts of Iraq and Syria today, has become as dangerous as being a Jew was in Nazi-controlled parts of Europe in 1940. There is no doubt about the accuracy of the quote by Prince Bandar, secretary-general of the Saudi National Security Council from 2005 and head of General Intelligence between 2012 and 2014, the crucial two years when al-Qa'ida-type jihadis took over the Sunni-armed opposition in Iraq and Syria. Speaking at the Royal United Services Institute last week, Dearlove, who headed MI6 from 1999 to 2004, emphasised the significance of Prince Bandar's words, saying that they constituted "a chilling comment that I remember very well indeed". He does not doubt that substantial and sustained funding from private donors in Saudi Arabia and Qatar, to which the authorities may have turned a blind eye, has played a central role in the Isis surge into Sunni areas of Iraq. He said: "Such things simply do not happen spontaneously." This sounds realistic since the tribal and communal leadership in Sunni majority provinces is much beholden to Saudi and Gulf paymasters, and would be unlikely to cooperate with Isis without their consent. Dearlove's explosive revelation about the prediction of a day of reckoning for the Shia by Prince Bandar, and the former head of MI6's view that Saudi Arabia is involved in the Isis-led Sunni rebellion, has attracted surprisingly little attention. Coverage of Dearlove's speech focused instead on his main theme that the threat from Isis to the West is being exaggerated because, unlike Bin Laden's al-Qa'ida, it is absorbed in a new conflict that "is essentially Muslim on Muslim". Unfortunately, Christians in areas captured by Isis are finding this is not true, as their churches are desecrated and they are forced to flee. A difference between al-Qa'ida and Isis is that the latter is much better organised; if it does attack Western targets the results are likely to be devastating. 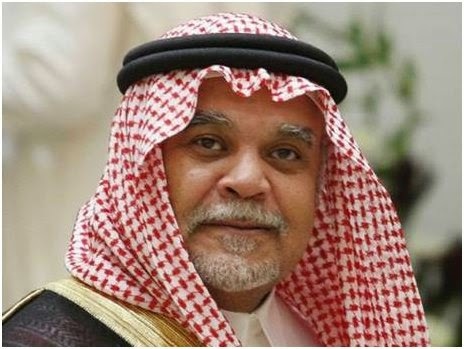 The forecast by Prince Bandar, who was at the heart of Saudi security policy for more than three decades, that the 100 million Shia in the Middle East face disaster at the hands of the Sunni majority, will convince many Shia that they are the victims of a Saudi-led campaign to crush them. "The Shia in general are getting very frightened after what happened in northern Iraq," said an Iraqi commentator, who did not want his name published. Shia see the threat as not only military but stemming from the expanded influence over mainstream Sunni Islam of Wahhabism, the puritanical and intolerant version of Islam espoused by Saudi Arabia that condemns Shia and other Islamic sects as non-Muslim apostates and polytheists. 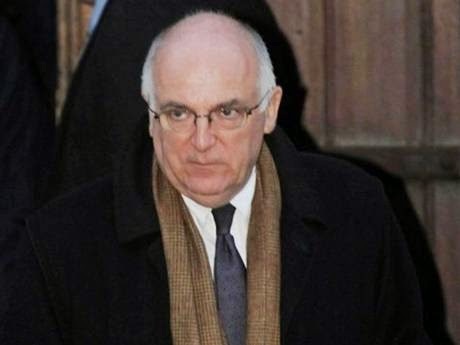 Dearlove says that he has no inside knowledge obtained since he retired as head of MI6 10 years ago to become Master of Pembroke College in Cambridge. But, drawing on past experience, he sees Saudi strategic thinking as being shaped by two deep-seated beliefs or attitudes. First, they are convinced that there "can be no legitimate or admissible challenge to the Islamic purity of their Wahhabi credentials as guardians of Islam's holiest shrines". But, perhaps more significantly given the deepening Sunni-Shia confrontation, the Saudi belief that they possess a monopoly of Islamic truth leads them to be "deeply attracted towards any militancy which can effectively challenge Shia-dom". Western governments traditionally play down the connection between Saudi Arabia and its Wahhabist faith, on the one hand, and jihadism, whether of the variety espoused by Osama bin Laden and al-Qa'ida or by Abu Bakr al-Baghdadi's Isis. There is nothing conspiratorial or secret about these links: 15 out of 19 of the 9/11 hijackers were Saudis, as was Bin Laden and most of the private donors who funded the operation. The difference between al-Qa'ida and Isis can be overstated: when Bin Laden was killed by United States forces in 2011, al-Baghdadi released a statement eulogising him, and Isis pledged to launch 100 attacks in revenge for his death. But there has always been a second theme to Saudi policy towards al-Qa'ida type jihadis, contradicting Prince Bandar's approach and seeing jihadis as a mortal threat to the Kingdom. Dearlove illustrates this attitude by relating how, soon after 9/11, he visited the Saudi capital Riyadh with Tony Blair. He remembers the then head of Saudi General Intelligence "literally shouting at me across his office: '9/11 is a mere pinprick on the West. In the medium term, it is nothing more than a series of personal tragedies. What these terrorists want is to destroy the House of Saud and remake the Middle East.'" In the event, Saudi Arabia adopted both policies, encouraging the jihadis as a useful tool of Saudi anti-Shia influence abroad but suppressing them at home as a threat to the status quo. It is this dual policy that has fallen apart over the last year. 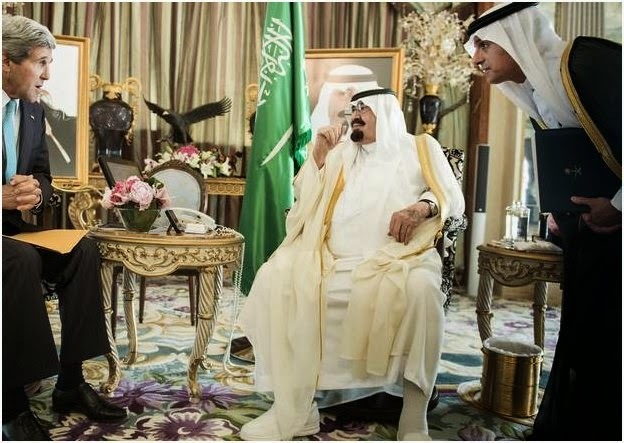 Saudi sympathy for anti-Shia "militancy" is identified in leaked US official documents. The then US Secretary of State Hillary Clinton wrote in December 2009 in a cable released by Wikileaks that "Saudi Arabia remains a critical financial support base for al-Qa'ida, the Taliban, LeT [Lashkar-e-Taiba in Pakistan] and other terrorist groups." She said that, in so far as Saudi Arabia did act against al-Qa'ida, it was as a domestic threat and not because of its activities abroad. This policy may now be changing with the dismissal of Prince Bandar as head of intelligence this year. But the change is very recent, still ambivalent and may be too late: it was only last week that a Saudi prince said he would no longer fund a satellite television station notorious for its anti-Shia bias based in Egypt. The problem for the Saudis is that their attempts since Bandar lost his job to create an anti-Maliki and anti-Assad Sunni constituency which is simultaneously against al-Qa'ida and its clones have failed. By seeking to weaken Maliki and Assad in the interest of a more moderate Sunni faction, Saudi Arabia and its allies are in practice playing into the hands of Isis which is swiftly gaining full control of the Sunni opposition in Syria and Iraq. In Mosul, as happened previously in its Syrian capital Raqqa, potential critics and opponents are disarmed, forced to swear allegiance to the new caliphate and killed if they resist. The West may have to pay a price for its alliance with Saudi Arabia and the Gulf monarchies, which have always found Sunni jihadism more attractive than democracy. A striking example of double standards by the western powers was the Saudi-backed suppression of peaceful democratic protests by the Shia majority in Bahrain in March 2011. Some 1,500 Saudi troops were sent across the causeway to the island kingdom as the demonstrations were ended with great brutality and Shia mosques and shrines were destroyed. An alibi used by the US and Britain is that the Sunni al-Khalifa royal family in Bahrain is pursuing dialogue and reform. But this excuse looked thin last week as Bahrain expelled a top US diplomat, the assistant secretary of state for human rights Tom Malinowksi, for meeting leaders of the main Shia opposition party al-Wifaq. Mr Malinowski tweeted that the Bahrain government's action was "not about me but about undermining dialogue". Iraqi leader al-Maliki Western powers and their regional allies have largely escaped criticism for their role in reigniting the war in Iraq. Publicly and privately, they have blamed the Iraqi Prime Minister Nouri al-Maliki for persecuting and marginalising the Sunni minority, so provoking them into supporting the Isis-led revolt. There is much truth in this, but it is by no means the whole story. Maliki did enough to enrage the Sunni, partly because he wanted to frighten Shia voters into supporting him in the 30 April election by claiming to be the Shia community's protector against Sunni counter-revolution. But for all his gargantuan mistakes, Maliki's failings are not the reason why the Iraqi state is disintegrating. What destabilised Iraq from 2011 on was the revolt of the Sunni in Syria and the takeover of that revolt by jihadis, who were often sponsored by donors in Saudi Arabia, Qatar, Kuwait and United Arab Emirates. Again and again Iraqi politicians warned that by not seeking to close down the civil war in Syria, Western leaders were making it inevitable that the conflict in Iraq would restart. "I guess they just didn't believe us and were fixated on getting rid of [President Bashar al-] Assad," said an Iraqi leader in Baghdad last week. Of course, US and British politicians and diplomats would argue that they were in no position to bring an end to the Syrian conflict. But this is misleading. By insisting that peace negotiations must be about the departure of Assad from power, something that was never going to happen since Assad held most of the cities in the country and his troops were advancing, the US and Britain made sure the war would continue. The chief beneficiary is Isis which over the last two weeks has been mopping up the last opposition to its rule in eastern Syria. The Kurds in the north and the official al-Qa'ida representative, Jabhat al-Nusra, are faltering under the impact of Isis forces high in morale and using tanks and artillery captured from the Iraqi army. It is also, without the rest of the world taking notice, taking over many of the Syrian oil wells that it did not already control. 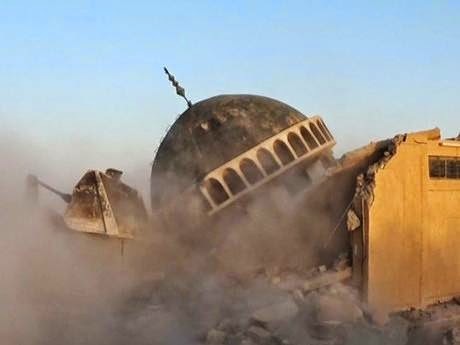 The Shia Al-Qubba Husseiniya mosque in Mosul explodes Saudi Arabia has created a Frankenstein's monster over which it is rapidly losing control. The same is true of its allies such as Turkey which has been a vital back-base for Isis and Jabhat al-Nusra by keeping the 510-mile-long Turkish-Syrian border open. As Kurdish-held border crossings fall to Isis, Turkey will find it has a new neighbour of extraordinary violence, and one deeply ungrateful for past favours from the Turkish intelligence service. As for Saudi Arabia, it may come to regret its support for the Sunni revolts in Syria and Iraq as jihadi social media begins to speak of the House of Saud as its next target. It is the unnamed head of Saudi General Intelligence quoted by Dearlove after 9/11 who is turning out to have analysed the potential threat to Saudi Arabia correctly and not Prince Bandar, which may explain why the latter was sacked earlier this year. Nor is this the only point on which Prince Bandar was dangerously mistaken. The rise of Isis is bad news for the Shia of Iraq but it is worse news for the Sunni whose leadership has been ceded to a pathologically bloodthirsty and intolerant movement, a sort of Islamic Khmer Rouge, which has no aim but war without end. The Sunni caliphate rules a large, impoverished and isolated area from which people are fleeing. Several million Sunni in and around Baghdad are vulnerable to attack and 255 Sunni prisoners have already been massacred. In the long term, Isis cannot win, but its mix of fanaticism and good organisation makes it difficult to dislodge. "God help the Shia," said Prince Bandar, but, partly thanks to him, the shattered Sunni communities of Iraq and Syria may need divine help even more than the Shia.